You name it this place has it. 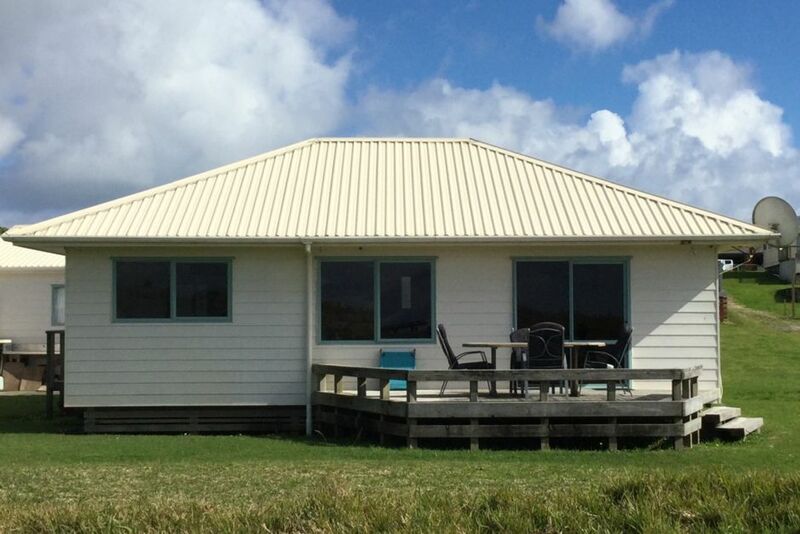 17km of white sand beach metres from your doorstep. Just the place to take the boat with fishing, diving and watersports. Launch the boat off the beach or choose from 3 boat ramps near by. Outdoor fish/filleting bench and outdoor shower. Drive 2kms up the road and you will find the famous Carrington Estate winery and golf course, with tennis courts, resturant,spectacular views and fantasic cuisene - you just can't go wrong. Comfortable modern bach with all the nessesities to make your holiday a memorable one. Book us today before the Summer Frenzy starts. Please be respectful and considerate of others holidaying around you and leave the Seabed as you found it. We live on the peninsula and love the outdoors, the fresh air and a very full social calendar. Our children go to the local schools and we spend our weekends chasing sports events, fishing and enjoying our backyard. The Seabed has everything you want and more. Perfect beachfront location, all the bells and whistles, comfortable beds and all in a relaxed setting. Amazing sunsets and sunrises looking out over the ocean. Absolute beach front. You can’t get any closer than this. Nesteled in the sand dunes right on Tokerau Beach. Panel Wall Heater and LED Heater. X2 Seaters & x1 Armchair. Please ask to use seperate bait freezer if required. We are happy to help. Tons of games and puzzles for rainy days and cost nights. Leading straight out onto the sand dunes. There is a community tennis court up the road. World famous Carrington Golf Course just up the road. Clubs and carts can be hired. Fantastic location, really close to he beach. Fantastic location, really close to he beach. It has all the basics and heaps more. A very comfortable and well laid out bach. Great location, so close to the beach. Great location, so close to the beach. Access to everything we needed and more. Happy to accommodate our every need. Really was a home away from home and we had a great time. Great place to stay, so close to so much. Great place to stay, so close to so much. Comfortable, clean and spacious. Great fishing. Beautiful beaches all around not just at location. Loved the location - close walking distance to beach and hearing the waves at night. Loved the location - close walking distance to beach and hearing the waves at night. Lots of lovely white sandy beaches within driving distance. Kids loved the slushy's from the service station/shop up the road!! The Seabed Bach is located right on Tokerau Beach. Surrounded by some of Northlands most beautiful beaches - Matai Bay, Rangiputa, Whatuwhiwhi and Puwheke. A great place to base yourself to visit some of New Zealand’s famous land marks - Cape Reianga, Shipwreck Bay, Mangonui & Cable Bay.